A quick recap video our our pre-party for the Boulder County Mini Maker Faire held at TinkerMill in Longmont. Yea, I said it. Non Profit local media. I'm thinking of a mashup, maybe, of TinkerMill (our local makerspace-provides membership/volunteerism) crossed with NPR (provides individual sponsorship and business underwriting). Why does this matter? Because our local news just no longer cuts it. It's not local, it's not community focused and it's gotten to the point where it's close to useless. Yes, I'm aware that local news products meant to displace existing media has been tried before. Places like the for profit Backfence, funded with millions of dollars, failed. There are, of course, organizations that are trying to figure this out, but no real solutions seem to have come from it. 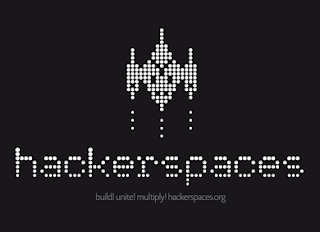 Lately, a bunch of people have been asking me about hackerspaces and makerspaces (same thing, different feel to the words, go with whatever you prefer). I guess it's because I was a member of Denver's hackerspace (denhac) and on it's board of directors. I also started the Longmont Hackerspace (TinkerMill) in the spring of 2013 and have learned a bit about the current state of hackerspaces, getting them started and running them. This post is about starting the basics of how to start one with some specifics and some examples. I may do more on running them in the future, but for now.. just get started. There was a time, 5-6 years ago, when it was hard to get people to understand what a hackerspace was. That time is no more. It's significantly easier to start a hackerspace today than it was even a year ago. So, our second board meeting for ClickCaster was yesterday. We had everyone in attendance: Myself and two of my folks (Pete and Marsha) and our directors, Brad, Niel, Jerry by phone, and a guest (David, one of our investors) who's likely to join the board shortly. We went over some of the mechanics (approving the minutes from the last meeting with some input on how they should be short and highlight via bullet points what was discussed, how to best report finances consistently, etc.) and then went over the current state of the business. This was an excellent discussion. We went over our activities over the last month such as development, new product capabilities, growth, status of existing customers and contracts, and results of interviews with potential customers but we spent the bulk of our time talking about where the business should go. Live back in my hometown, Longmont, Colorado. High tech guy, mostly software, media and communications related business experience which includes having worked as an exec for several large companies (Apple, Viacom, Paramount Pictures, MCI, Motorola) starting and working in several startup companies and creating several non profit entities over the years, the latest being the Longmont Observer (www.longmontobserver.org) where I'm the co-found and publisher and right before that TinkerMill (www.tinkermill.org) where I was the original founder, president and acting executive director from 2013-2015.